It's July in Christmas River, and the temperature isn't the only thing flaring out of control. After a fire destroys her best friend's ornament shop, pie baker extraordinaire Cinnamon Peters soon discovers that the blaze was no accident. 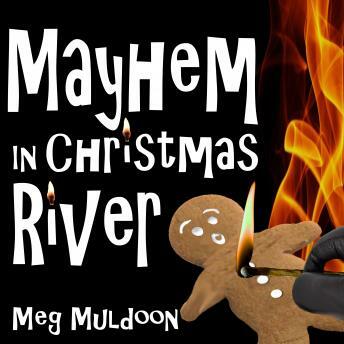 Just days before the annual Christmas River in July Parade and Play, it becomes clear that a maniac is roaming the tourist-packed streets of Christmas River. And he's got a flair for the dramatic. Will Cinnamon and her sheriff's deputy boyfriend find out who's behind the blaze before the rest of the town goes up in flames?